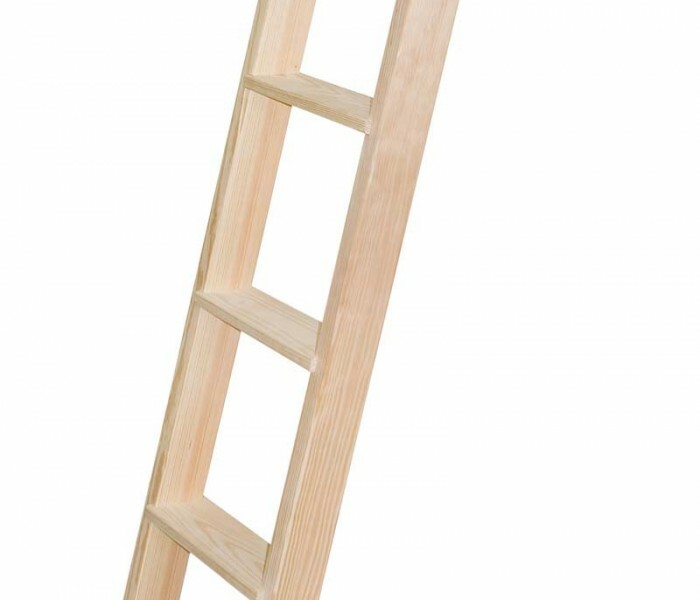 Nearly all Wooden Ladders are made of Southern Yellow Pine (and telephone poles too, because of its strength properties), but few are made with wood as thick as ours – so these ladders can hold more weight than you’ll ever need them too. 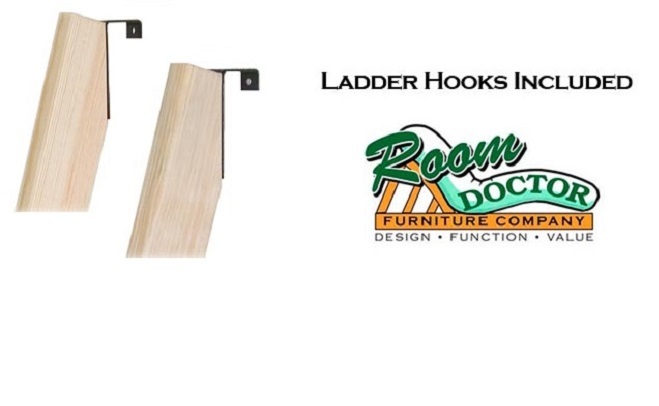 In addition, our ladder hooks are made from thick, 1/8″ steel that is nearly impossible to bend. 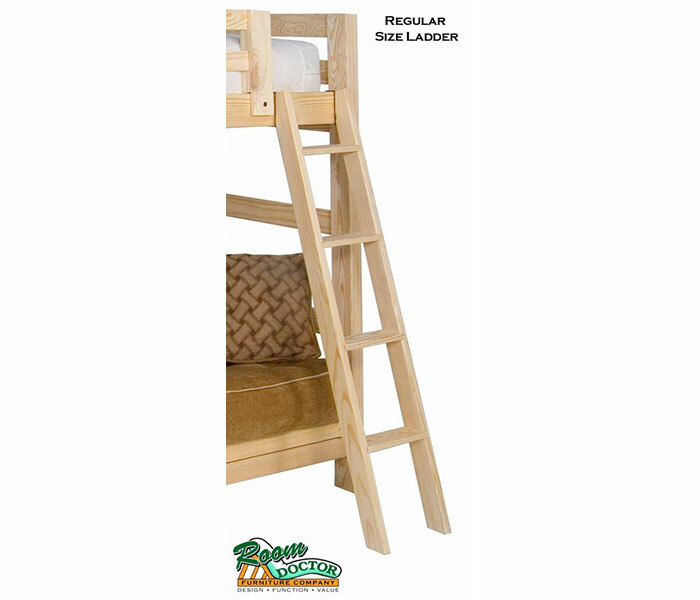 Like all Room Doctor products, these ladders are built to last a lifetime. Comes ready to assemble, hardware and 4mm allen wrench included. The only thing you will need is a Philips Screwdriver to put the hooks on. Ladders are unfinished, pure, clean, beautiful Southern Yellow Pine that will age gracefully and become a more golden color over time. We also offer a water-based Golden Oak stain ($20) or a hand-rubbed Linseed Oil finish ($25). For Top-of-Rail heights between our Junior 4-Step and our Tall 5-Step ladder, we can custom make any size you need for an extra $20 charge. Each one is proportionally spaced for your exact measurement (equal spacing from first to last step). Just let us know the height of the top of the rail that the ladder will hook onto. 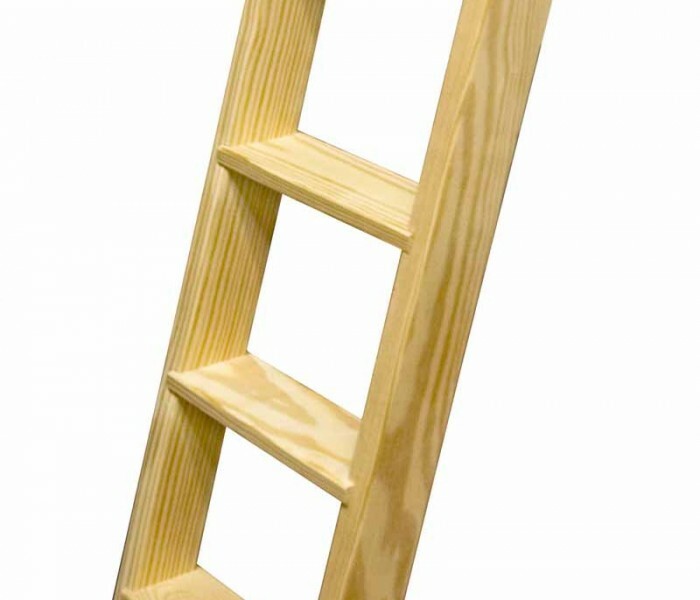 CUSTOM SUPER TALL LADDERS (5-8 step): We CAN Do It!! For Top-of-Rail heights from 65″ up to 94″, just give us a call. 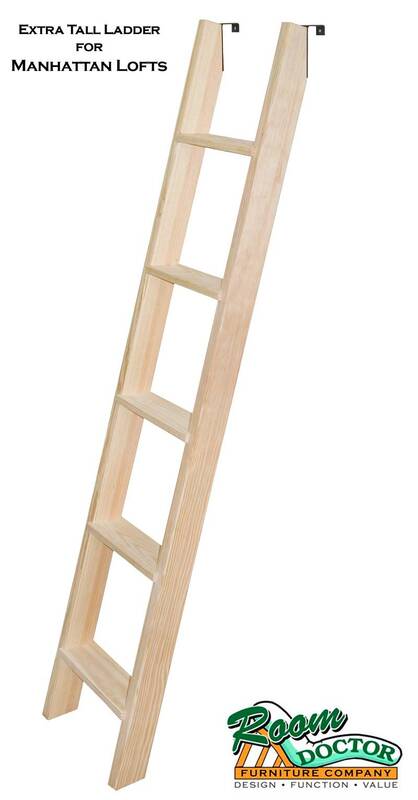 And if you need something longer than 96″, we can even do a folding ladder so that it can be shipped.